Eager.one supplied a 29t capacity light weight spreaders to lift anode cages over monopole foundations for an offshore windfarm project. The spreader has a remote operated hydraulic release system to release the anode cage once in position. 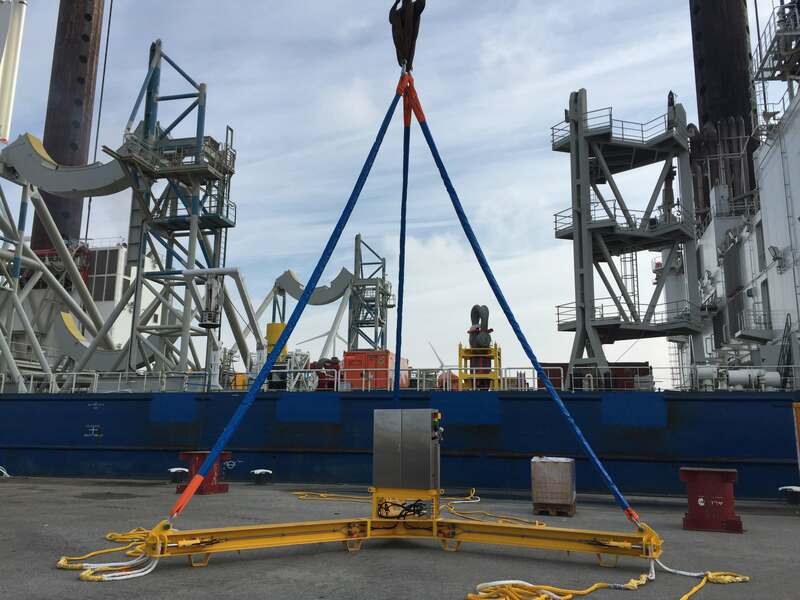 This spreader has been customized to fit the existing sea fastening on the vessel and has been delivered in a challenging lead time of 10 weeks. 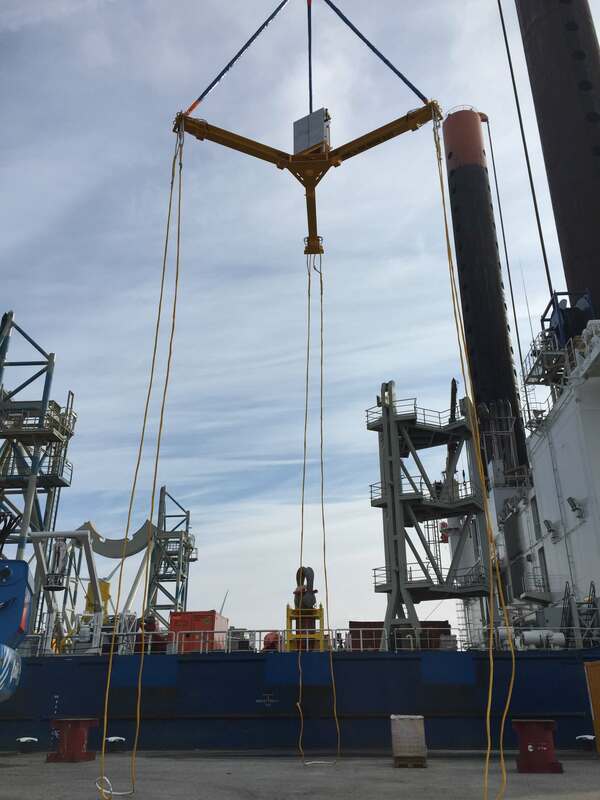 This included engineering according class rules, class design appraisal, production of hardware & controls and class witnessed load testing of the spreader.